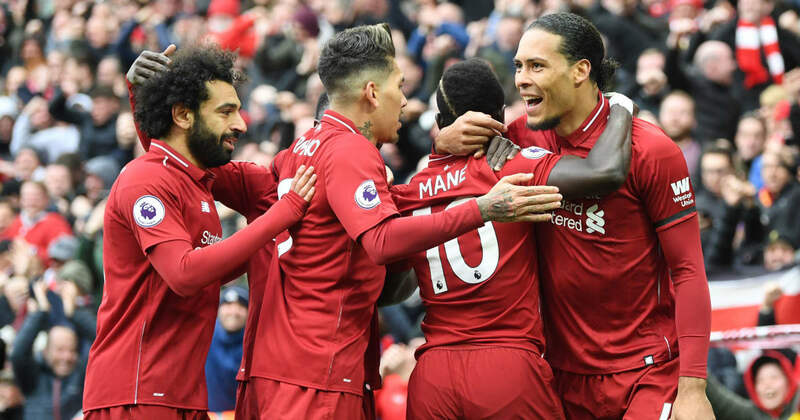 Manchester City and Liverpool continued their breathtaking battle for the Premier League title as they both secured vital wins over Crystal Palace and Chelsea respectively on Sunday. ?The Citizens got the ball rolling in the afternoon, registering a rather straightforward 3-1 win at Selhurst Park, sending them ahead of Liverpool in the table. A brace from Raheem Sterling and a late strike from Gabriel Jesus sealed the deal, though Pep Guardiola’s side were given a brief scare late on when Luka Milivojevic scored with a pin-point free kick. ?Sterling stole the show for ?City – not for the first time this season – and plenty were understandably singing the forward’s praises. He could have even bagged a hat trick, but he somehow managed to miss an absolute sitter during the opening exchanges. We can’t all be perfect, I suppose. If you’re lucky enough to get away with it the first time round, don’t let this guy have another chance because he will make you pay! ?
? ?As for ?Palace, they gave themselves a glimmer of hope for all of about five minutes when Milivojevic found the back of the net. His free-kick was rather impressive, but the focus was entirely on the fact that his goal somehow didn’t come from a trademark penalty. Wait, the Milivojevic goal is not a PK? 1 – Luka Milivojevic became the first player in Premier League history to score a penalty from 22 yards.
? ?City’s win meant that the pressure was back on ?Liverpool to avoid slipping up (had to be done) at Anfield against ?Chelsea. The Reds initially struggled, but goals from ?Sadio Mane and ?Mohamed Salah ensured that Jurgen Klopp’s side would finish the day back at the top of the Premier League table. After a difficult few months where Salah had managed to do the square root of nothing in front of goal, the Egyptian was in fine form on this occasion, scoring an incredible goal to silence his critics, leaving plenty in absolute awe. My goodness, Mohamed Salah. My. Goodness. Sky Sports talking about the left-back being at fault for Salah’s goal. That is a dry, dry, dry way to live your life, lads.
? ?Finally, spare a moment for ?Eden Hazard, who looks to have taken on the curse that had been weighing down Salah for the last few months. The Belgian forward struggled to exert any sort of influence on the game and had two glorious chances to drag Chelsea back into the match – which he somehow managed to waste. Maybe a move to Real Madrid wouldn’t be so much of a bad thing after all…right? A second great miss from Hazard! Can’t believe some people say he’s the best in the EPL! ? ?